Each month staff at the Royal Norfolk Regimental Museum look back to what the Norfolk Regiment was doing 100 years ago, and tells their story through objects from the museum’s collection. See previous blog posts here. 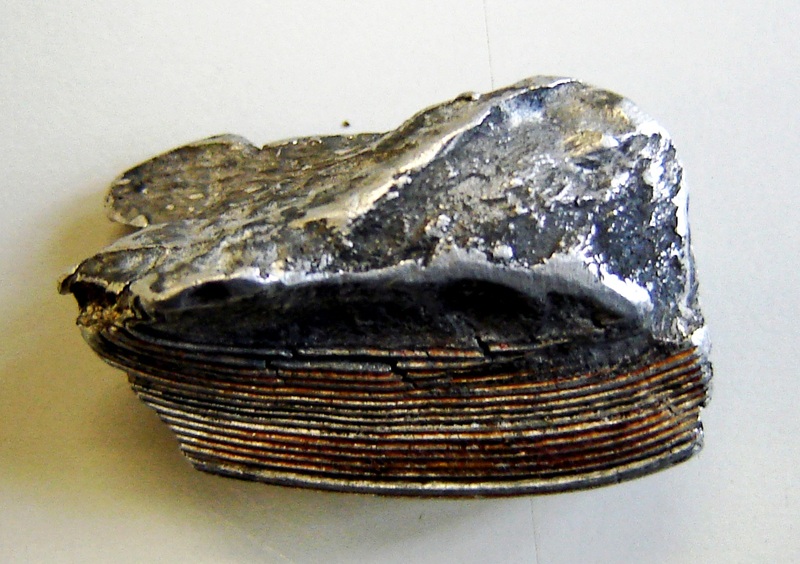 This innocuous-looking piece of metal is in fact a fragment of the petrol tank of a German zeppelin, from the Royal Norfolk Regimental Museum’s collection. Less than a month after the Christmas Truce, the German offensive reached British shores. Great Yarmouth became the first place in Britain to suffer a fatality during an aerial bombardment in January 1915, when a zeppelin attacked the town. On January 19th, the German Zeppelin L3 dropped around ten bombs on the town, while the Zeppelin L4 attacked Kings Lynn. Steve Smith has written more about the attack here. Defence of the vulnerable Norfolk coast was entrusted to the 6th (Cyclist) Battalion of the Norfolk Regiment. The 6th Battalion was a territorial battalion which had been established in 1908, to train men as military cyclists. At the outbreak of war the battalion assembled at North Walsham and were given the duties of coastal patrol and defence work. A second cyclist battalion was formed to strengthen numbers, creating the 1/6th and 2/6th Battalions. The 2/6th Battalion was sent to Bridlington to defend the coast of Yorkshire. Concerns had been raised about the vulnerability of the East Coast to attack, especially after a German cruiser force shelled Hartlepool, Whitby and Scarborough in December 1914. These fears were realised with the German Zeppelin raid at Great Yarmouth in January. Men from the 1/6th Battalion fired at the Zeppelin, but four people were killed. 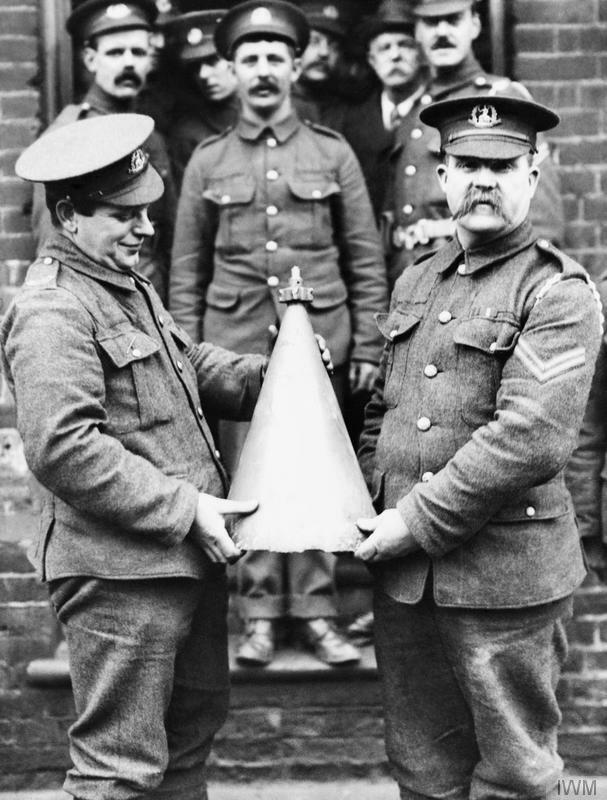 This image (courtesy of the Imperial War Museum) shows men of the 1/6th Battalion holding part of a German bomb which was dropped on a stable behind 78 Crown Road, Great Yarmouth, Norfolk, by Kapitänleutnant Fritz from Zeppelin L3 on 19th January 1915. As the war progressed, the 1/6th Battalion’s duties changed, and the battalion focused on training infantrymen to be sent overseas to join other battalions for active service. This entry was posted in Uncategorized, War Diary and tagged The Norfolk Regiment, The Royal Norfolk Regimental Museum. Bookmark the permalink. Lest We Forget. Remembering the Fallen.